Family ir sm@rt got a new member We want to offer our customers the most and the best, that's why we decided to make a radical change of the valve that, regulates the flow of abrasive into the wheel. When designing the valve we had in mind mainly following requirements: * To make modular design which will cover both previous versions. * Wear parts are made from wear-resistant materials. * Possible upgrade from ON/OFF valve to ir sm@rt valve. * Faster response. * Dimension suitability. * Cost-effective solution. According to all the facts listed above we developed 3 versions of ir valves: 1. ir valve ON / OFF Manually (ON/OFF) controled loads the wheel when machine starts working process, and the mass flow is set with a screw. The ir valve ON/OFF substitutes old pneumatic closure, it is easy to replace it and it has the possibility to be upgrated on semi or full automatic (ir sm@rt valve) version. Very good repeatability, it´s quiet operation, wearing parts made out of wear-restistant materials and it´s better prices than old solutions are the advantages ir valve ON / OFF offers. 2. ir valve ON / OFF with remote control of mass flow The semi-automatic solution gives the user the possibility to change flow rates by switches. With better price and full of other advantages such as very good repeatability, quiet opertaion, wearing parts of wear-resistant material, it substitutes the old pneumatic closure and complements operation. It enables the remote setting of mass flow by using buttons. The installation is independently from a PLC, which gives the possibility to mount it on machines without PLC as also to be upgraded to full automatic version (ir sm@rt valve). 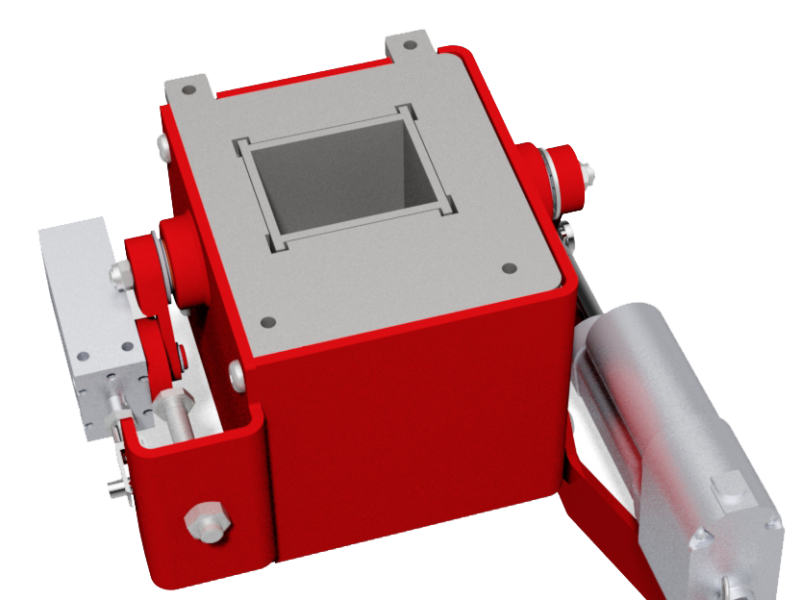 The semi-automatic solution is an economical solution which offers a simple adjustment of mass flow. 3. ir sm@rt valve The automatic solution (ir sm@rt valve), where linear actuator is driven by PLC, which works with all shots, has numerous control options, the sm@rt initialization can be carried out by fitter or buyer. Sm@rt regulation ensures accurate and stable control of mass flow. Consistent wheel motor loadings ensure that shot intensity is the same day after day. 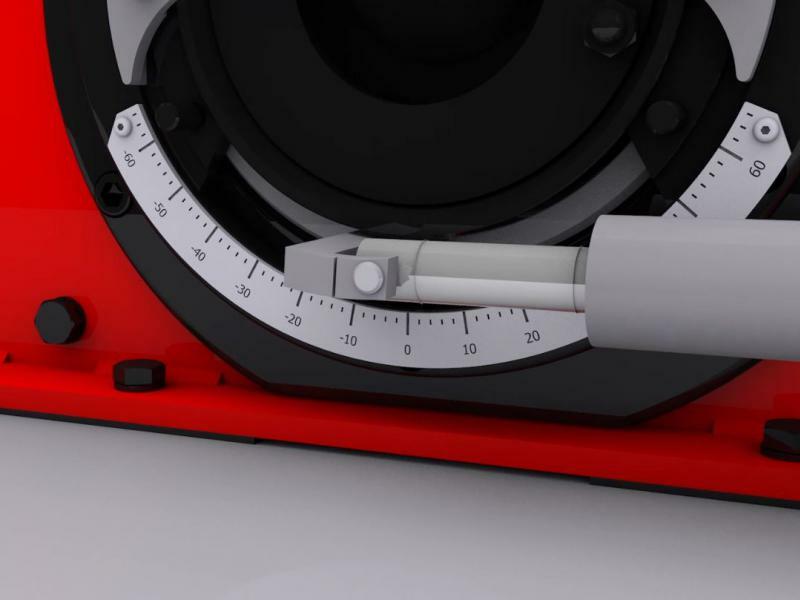 With many other advantages such as precise flow adjustments with low response time (up to 3 sek. ), quiet operation, wearing parts of wear-resistant material the ir sm@rt valve substitutes the old automatic valve and offers much better economical solution with better price than Magna valve. All three of our ir valves, are made out of high quality wear-resistant material, which assures us long lifetime. With numeros advantages versus others, the upgrade possibility from ir valve on/off to semi or full automatic ir sm@rt valve, which is the high-light off all, we achieved that is, like all members of our ir sm@rt family, positioned high in the circle off most reliable and technologically advanced equipments in blasting and peening industry. Blasting machines run sm@rt We live in a fast changing World full of digitisation and IT technology, which helps us to achieve results that weren´t possible to achieve over past decades. We take full advantage of IT technology and use it wisely in our products of blasting machines. With the information and communication technology used in our sm@rt wheels, we achieved a much higher level of automatization, self-configuration and more transparent control on the state of the wheel. Our company is with innovative IT solutions in the heart of industry 4.0. With the Internet of Thing and sensor systems which collect data, that can be used by manufacturers and producers, many experts say that the industry 4.0 means the fourth industrial revolution. We know that one of the important tasks during blasting or peening process is to collect as many as possible data in the blasting machine. The collected data ensures us the optimal functioning as well as monitoring and predicting the live span of spare parts. With the sensors and the data transfer system installation, we prove that our machines are really sm@rt machines. Picture 1: modul function show of the sm@rt blades and sm@rt shields Sm@rt wheel Our new wheel with »sm@rt« sensors to control the wear was developed in order to control the state of the wheel, to plan when spare parts change is needed and to reduce the amount of spare parts for user. Sm@rt wheel has few important sensor parts: Sm@rt blades, Sm@rt shields, Wheel vibration control and Wheel amps control. With whole system, we have control over the wheel situation as well as control of the blasting process. ir sm@rt blade sensor HOW IT WORKS? When the blades are worn to a certain point by abrasive, it give us an output signal (on PLC, SMS or send a message / notification). When the blades are worn out 80%, system gives you a signal so you have time to react and buy new blades. In case you do not react, when blades are worn out, wheel stops working. All the alarms are being collected in one place. ir sm@rt shield sensor HOW IT WORKS? When the shield is worn to a certain point by abrasive, it gives us an output signal (on PLC, SMS or send a message / notification). When the shields are worn out, 80% to 85%, system gives you a signal so you have time to react and buy new shields. In case you do not react, when shields are worn out, wheel stops working. All the alarms are being collected in one place. Wheel can run and you have enough time to order spare parts. The advantage of the system is to protect the machine and wheel housing. The most important thing is that the wheel gives us information in what condition is and information for order of spare parts. The advantage is that it is not necessary for you to have larger stock of shields. Wheel vibration control WHY WE NEED IT? To control the wheel vibrations special sensors has been developed. Vibrations of the wheel/rotor are being measured. With this we guarantee that rotor works in correct limits. If vibrations exceed maximum limit, it gives us an output signal (on PLC, SMS or send a message / notification). With this we also reduce wear of the machine and its parts and we also reduce the noise. Wheel amps control WHY IS IT GOOD? With this we measure amps on the wheels, which must always be set optimally. If wheels are not set in optimal way, the Buyer receives email or text message with warning. This enables to have optimal working of the process. This helps us to reduce the costs and to ensure optimal machine operation. It also helps to reduce wear of the machine and its parts. ir sm@rt valve WHY IS IT GOOD? Ensures a high control of the abrasive flow in each wheel. It offers many control possibilities (automatic regulation of abrasive flow, no matter of the wheel speed (from 26 to 62 Hz). A precise flow regulation in very short time (to 3 seconds), the steady wheel engine load, ensures the same jet intensity day by day. There is no danger for the wheel casting to be backfilling because of the abrasive leakage. It works with all types of abrasive. By launching our sm@rt blast machines and ir sm@rt wheels to the global market we already contribute to a higher level of the process control, better production quality and highest cost reduction. Our products added value to the manufacturing processes in different factory systems worldwide. The foundations of the Industrial internet of Things are already in place. We already use the potentials to improve operations and in the future our plan is to use it even more. Ever more intelligent machines call for their ever more intelligent integration and use. We have hosted regular meeting of the Steering committee of the Slovenian Association for Metal Industry. In this committee are general managers of the most important companies from metal industry in Slovenia. 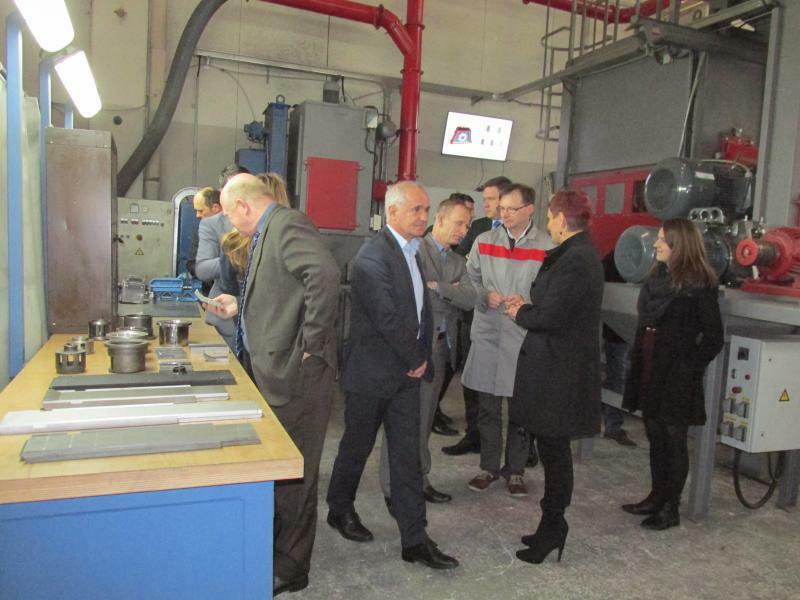 Metal industry is an important industrial activity in Slovenia, as there is approx. 3.000 companies and 53.000 employees. Despite the fact that all the companies belong to metal industry, we have various products and consequently production process. We wanted our guests to understand the concept and shot blasting activity, that's why we presented them the "heart" of our shot blasting machines ir sm@rt wheel and new line of Basic machines. What is shotblasting? 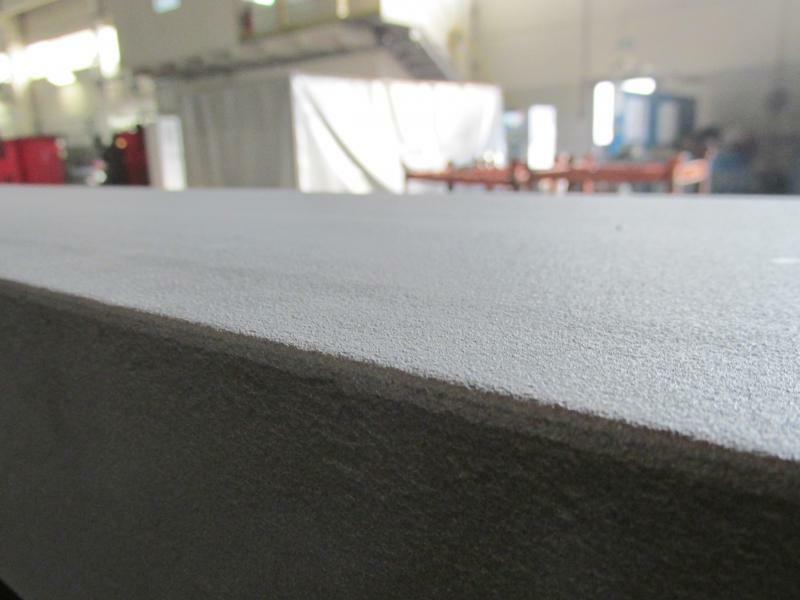 Shotblasting is a technological process of removing various impurities from different surfaces by using abrasive. Shot blasting is a surface protection and also prior-preparation of surfaces prior to further processing, such as welding, colouring, etc. The final result of cleaned surface depends on a several factors: mass of the abrasive particle, particle velocity, the impactor angle of the particle, the particle shape, density and coverage of the strokes kg/m2. It is used in different industries, such as: automotive industry, metal-manufacturing industry, foundry, aviation industry, shipbuilding, production of various welded structures and also in production of various tanks, silos, pipelines, chassis, etc. What is the difference between shotblasting and sandblasting? The main difference is that in the shot blasting process we use throwing wheel and in sand blasting process compressed air is used. Shot blasting: abrasive gets acceleration through the throwing wheel, which is rapidly turning in a special steel housing, with one side oriented opening. Shot blasting is used for blasting metal, different profiles and welded constructions. Sand blasting: abrasive is dosed into the stream of compressed air and gets a real acceleration in the outflow from the blasting nozzle. Sand blasting is used in the blast rooms and blast cabinets.